Bears. Beets. Battlestar Galactica. 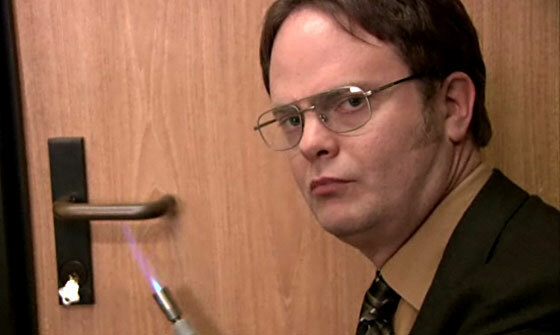 For a while now, ‘The Office’ star Rainn Wilson (Dwight Schrute) and executive producer/showrunner Paul Lieberstein have been toying with the idea of an ‘Office’ spinoff series, and now that might happen. No final deals have been made just yet, but they are getting to that point. NBC is hoping to finalize everything and get this new spinoff show out by mid season 2013. I’ll keep you posted when this gets greenlit. This entry was posted on Thursday, January 26th, 2012 at 5:57 pm	and is filed under News, Television. You can follow any responses to this entry through the RSS 2.0 feed. You can skip to the end and leave a response. Pinging is currently not allowed. « ‘Hangover 3’ Set to Begin Filming Very Soon!! !